I was graduated from the Biology department of the Ural State University in 1977. At that time I have decided to go as far north and east as possible. Russian Far East for us is like Alaska for Americans - the "last frontier". I have succeeded to organize an official invitation from the Institute of Biological Problems of the North (Rus. Acad. Sci.) - and I still work in this research institute. I am a fish biologist (Ph.D. in ichthyology). Every summer and fall I spend in expeditions. I used to work in different regions of the Russian Far East: Chukotka and Kamchatka, Yakutia and Magadan region, Primorie and Khabarovsk region, Amurski region, Sakhalin and Kuril Islands. The fish which I like the most is grayling, even though I used to work with other Salmonid fish: Pacific salmon, steelhead, charr and taimen. When I first came to Magadan, I was an excitable spin-fisherman. I have liked other kinds of fishing as well - drift-fishing with salmon eggs, plannerboard with flies, ice-fishing with lures or bait. Abundance of fish was gradually diminishing my interest to fishing - catching fish was becoming too easy. 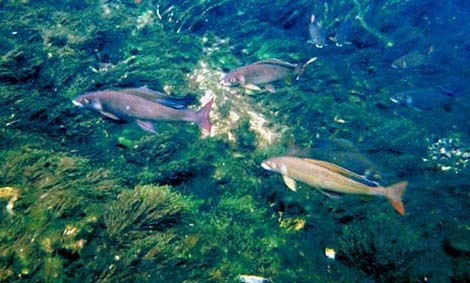 Besides that, use of bait of treble hooks do not suite catch-and-release. In an old magazine I've found the know-how of silk fly-line. Another line I've made out of plastic covering of electric wiring. My first rod and reel were self-made as well. 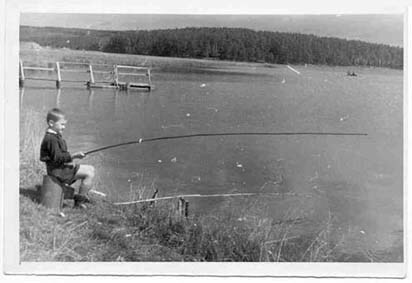 This tackle was rather clumsy, but suitable for practical fishing. I was learning to cast from the magazine articles and English books. With these primitive fly-tackle I've landed several salmon, dozens of charr and lots of grayling. Every summer since 1992 I was working as a guide with fishermen from Western Europe and US; many of them were high class fly-fishermen. In every trip I was doing my job and at the same time learning: learning from the fishermen and from the nature. 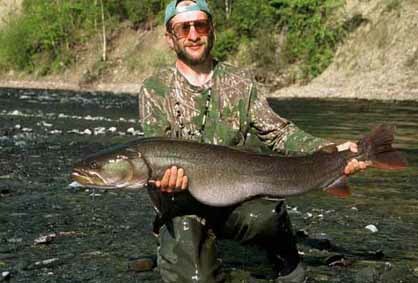 Russian Far East is true "last frontier" for flyfishermen - many of our sportfish were never caught with flies before. 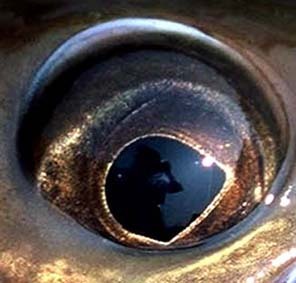 In literature there is no information on such species as Sakhalin taimen, cherry salmon, whitespotted charr - or diverse predators from the huge Amur River. When starting to "survey" these species I had to invent new flies and fishing tactics. From that time I've abandoned the spinning tackle. Drift-tackle I am using only in winter, when it is too cold to flyfish. My recent passion is photography, including underwater photography in lakes and rivers. From 2002 I am at the editorial board of the only Russian flyfishing magazine - "Nakhlyst". 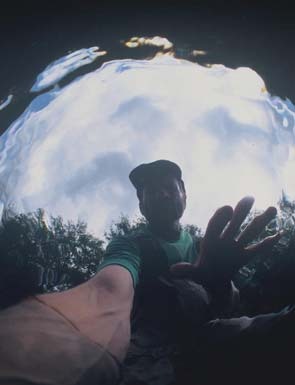 From 1994 till 2005 I was working with the Wild Salmon Center . Now I am free-lance journalist, writing for sportfishing and outdoor magazines, mostly Russian ones. Besides that, I take part in environmental projects of different type, including industrial ecology. I continue working with fly-fishermen, collaborate with sportfishing clubs of the Russian Far East, take part in casting and fly-tying training programs.